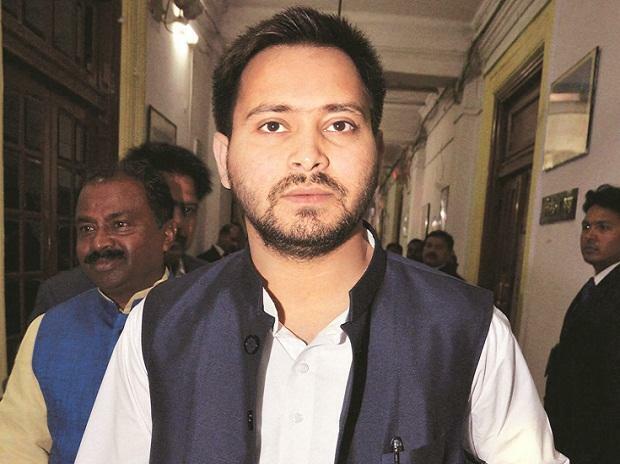 The Supreme Court on Friday dismissed former Bihar deputy chief minister Tejashwi Yadav's plea, challenging a Patna High Court order asking him to vacate the government bungalow meant for the deputy chief minister, and ordered him to shift to an accommodation for the leader of the opposition. The apex court imposed a fine of Rs 50, 000 on the Rashtriya Janata Dal (RJD) leader for pursuing a litigation up to the top court even after two benches of the high court dismissed his plea. "What is this luxury of litigation? Precious judicial time has been wasted," a bench comprising Chief Justice Ranjan Gogoi and Justices Deepak Gupta and Sanjiv Khanna said. Yadav, who is currently leader of the opposition (LoP) in the state assembly, filed an appeal against the Patna High Court judgement turning down his petition challenging the Bihar government order to vacate his bungalow to make way for Deputy Chief Minister Sushil Kumar Modi. On January 7, a division bench of the high court rejected the RJD leader's appeal challenging a single judge order on October 6, 2018 turning down his petition against the state government's direction. "The petitioner has been allotted a bungalow, matching his status as a minister in the government, at 1, Polo Road, Patna. He cannot raise complaint on the decision so taken, simply because the present bungalow is more suited to him," the single-judge order stated. Yadav occupies the 5, Desh Ratna Marg bungalow, a stone's throw from the Raj Bhavan and the chief minister's official residence. It was allotted to Yadav in 2015 when he was appointed deputy chief minister of the then 'Grand Alliance' government headed by Nitish Kumar. The RJD lost power in the state and Kumar now heads a NDA government. The Nitish Kumar government had asked Yadav to swap residences with Modi. "We find that this squabble over the allotment of a bungalow should not have been made a cause of dispute, as if it was a division of some private property. The rights which are being agitated upon are not such rights so as to place them on the pedestal of legally enforceable, indefeasible rights," the high court had remarked.